The biggest collaborative agency provider and community wide volunteer event in Southern Nevada. Where individuals and families get connected with the resources they need, from legal resources, to jobs, to services, to housing. PHC Families and Prevention gives them the resources they need to overcome housing/economic barriers and increase sustainability. We have over 13,000 homeless individuals and families at any given time in our community who need assistance. The number has increased due to the current economic situation, resulting from high rates of foreclosure and unemployment in Las Vegas and across the country today. 600 volunteers are needed to help individuals and families in need get connected to the resources that are available. Volunteers must be 18 or older to participate. To volunteer click HERE to sign up. Host Site: My AmeriCorps host site is Three Square Food Bank. I have been working with their Back Pack Program for Kids since November 2009. Hometown: I am not a native to Las Vegas, however, I have called Vegas home for 16 years. What is your favorite thing about your AmeriCorps position? : The thing I like the most about my AmeriCorps position is the feeling of satisfaction after a pack. I love to look at all the volunteers who were “strangers” that came together for a common cause, to help end childhood hunger in Las Vegas; the dedication of our volunteers warms my heart, so many good people doing so many good things! What is your favorite place to eat in southern Nevada? : Mimi’s. I love their French Onion soup! What is your favorite thing to do in your spare time? : In my spare time I enjoy working in my yard, I find it very relaxing. What is your favorite thing to do or place to in southern Nevada? If you’re new to town what is your number one thing you’d like to do or place you’d like to go? : One of my favorte things to do in our beautiful desert is hike and explore around Red Rock. What is your favorite movie or TV show? : My favorite T.V. show is Breaking Bad, kind of quirky story line and great characters. What are your plans after AmeriCorps? : My AmeriCorps commitment is up at the end of August but I hope to be able to stay at Three Square and continue to fight against hunger. That’s what the AmeriCorps program is all about, effecting change. My time in the AmeriCorps program has helped me be more deeply involved in my community. Thanks for the opportunity AmeriCorps! What is your favorite thing about your AmeriCorps position? : I love learning about the different faith/religious traditions and how they share so much in common and the positivity people derive from them. My AmeriCorps position came at a time in my life where I was really starting to become interested in spirituality, and I have learned so much already by being a part of the organization. I also love the people I have met both by being a part of AmeriCorps and the interfaith council and the opportunities it has lead to, such as being able to attend interfaith conferences and meet inspiring spiritual leaders. What is your favorite place to eat in southern Nevada? : Firefly on Paradise! What is your favorite thing to do or place to go in southern Nevada? : I love nature and having picnics, so I try to frequent Lake Mead and Red Rock Canyon often. What is your favorite movie or TV show? : I am a Lost fanatic. What are your plans after AmeriCorps? : I would like to renew for another year as an AmeriCorps VISTA at the Interfaith Council, and I am starting to look into grad programs, but am unsure at the moment. Ideally I would like to travel and experience new places before starting anything long term in life such as grad school. 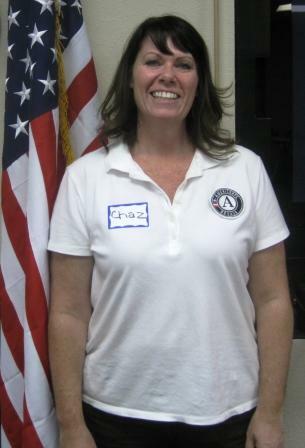 Ruthie Howard is an AmeriCorps VISTA member at the Interfaith Council of Southern Nevada. Her main objective through the year of service is to assist in capacity building of the organization which includes administrative support for the Interfaith Council, collaborative involvement with United Way partnerships as well as fundraising assistance for the Interfaith Council’s leadership youth program, Camp Anytown. Ruthie graduated from Humboldt State University in May 2009 with an undergraduate degree in Psychology. She relocated to the Las Vegas area in July 2009 from the San Francisco Bay area. Ruthie has felt inspired by working with the Interfaith Council and staff of Camp Anytown, and has therefore decided to further her education in the field of Social Work following her service as an AmeriCorps VISTA. Ruthie Howard, an AmeriCorps VISTA at the Interfaith Council of Southern Nevada, is featured in June’s VISTA spotlight. At the Interfaith Council, Ruthie has helped establish a functioning board of directors, assisted in rewriting the organization’s bylaws, and contributed to redesigning the website. Ruthie has also been helping develop committees at the Interfaith Council that will support and expand the organization’s programming. Recently she has helped develop a “Monthly Meeting” committee and a “Special Projects” committee. Ruthie has thoroughly enjoyed being a part of the Interfaith Council as it expands because she has furthered her interest and education in different faith traditions, and has the opportunity be a part of an atmosphere of genuine mutual respect. Unique Job Opportunity Available. Join AmeriCorps VISTA! The Volunteer Center for Southern Nevada’s AmeriCorps VISTA Program is currently recruiting for an AmeriCorps VISTA Team Leader with the Volunteer Center. The Team Leader assigned to the Volunteer Center will serve as capacity builder with the Volunteer Center of Southern Nevada, a program of United Way of Southern Nevada to build organizational capacity and increase the impact of local nonprofit organizations. 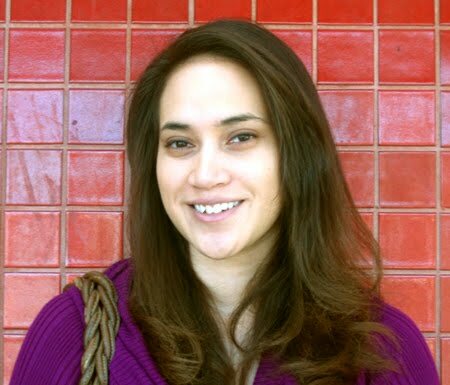 The VISTA Team Leader will help manage the Volunteer Center’s AmeriCorps VISTA program. The VISTA Team Leader will support the Volunteer Center’s VISTA members by providing one-on-one support, conducting regular site visits, organizing team meetings, trainings and service projects and compiling program data. The Team Leader will also outreach local nonprofit organizations, post opportunities on the Volunteer Center’s website, and assist with Volunteer Center projects and events as needed. The Volunteer Center of Southern Nevada, a program of United Way of Southern Nevada, provides a link for individuals, families, teams, and corporate groups to join together and engage in meaningful volunteer opportunities throughout southern Nevada. The Volunteer Center is working to improve lives and build a stronger, healthier and safer community in partnership with other organizations to bring about long-lasting change. From motivating children to discover and learn, to serving hot meals to low income families, to caring for the environment and helping families be financially stable, residents of Southern Nevada are responding to critical needs. To apply for the AmeriCorps VISTA Team Leader position click HERE. *To qualify for this position, you must have served at least one successful term as an AmeriCorps VISTA. You are currently browsing the United Way of Southern Nevada Volunteer Center blog archives for June, 2010.